A reader recently asked for my opinion on one of my favorite back-country ski backpacks which has motivated me to share by top three choices for back-country skiing! Here they are! I now have two full winters with over 70 days of back-country touring with this pack and it is my over-all favorite. I find it to be the perfect size for day trips in the White Mountains and last April’s ski trip to Iceland. The dedicated avalanche safety pocket fits my shovel and probe perfectly, and outer vertical pocket holds some of my oft used tools in an easy to get to spot; I stick my snow card, compass, Rutchsblock cord, and snow thermometer in there. The “goggle pocket” is where I stash all my food for the day, and I’m able to carry a bivy sack, large puffy, and usually fit my goggles, buff, facemask, and ski gloves inside my helmet inside the pack, though there is an external helmet carry option. Finally the back panel full access to the main compartment is super convenient! This pack is also available in a 30 and 38 liter short torso size, and a 40 liter size here. I reviewed this pack back in 2016 and having tested quite a few packs since this one has stayed in my memory of being one of the best designed ski packs on the market. It shares a lot of the same features as my first pick like a well designed avalanche gear pocket and back-panel access. Unfortunately it is either discontinued or simply out of stock at almost every retailer. There are a few left on sale here. This is actually my first pick if the ski mission is technical, i.e. I’ll be carrying rope, harness, a couple screws, a technical ice axe, crampons, etc. I got the ski modification on this pack and while it is the priciest of the three the materials used in construction made this a pack that will survive a decade or three of heavy use in the mountains, where as I would expect to wear our my first two picks after 5-7 seasons of heavy use. 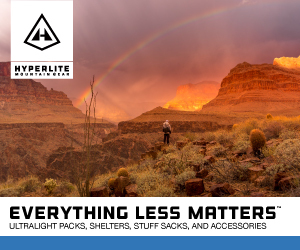 While this pack gives up some convenience features like the dedicated avalanche gear pocket it gains pure rugged simplicity. As I said in my detailed review back in 2016 this is the pack I would choose for a ski focused trip to Katahdin or a ski mountaineering day in Huntington Ravine (up Pinnacle down South or the like). Did your favorite make my list? Let me know in the comments if it did or didn’t! I will be looking to review 2019/20 back-country ski packs early next season! Disclaimer: The author is an Ortovox Athlete and all packs were provided for review. Affiliate links help support this blog.